Keep hydrated while showing your pride in your HR profession. 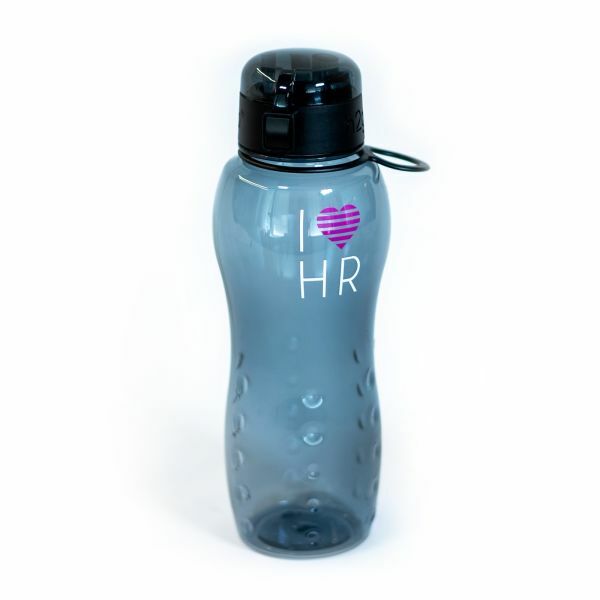 The Classic I Love HR logo makes this a great gift for you and your HR team. This sturdy, plastic 24 oz. 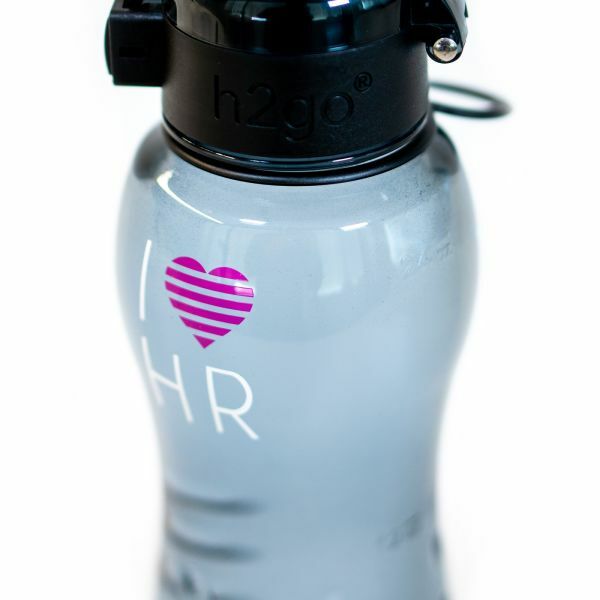 single wall (BPA free) water bottle has a one-touch flip lid. Plus, the drink spout helps prevent splash. Plastic ring allows you to attach the bottle to your backpack, belt, or briefcase.